This was the second reading of Readers Underground (then #litgeeks). The conversation continues in our forum. 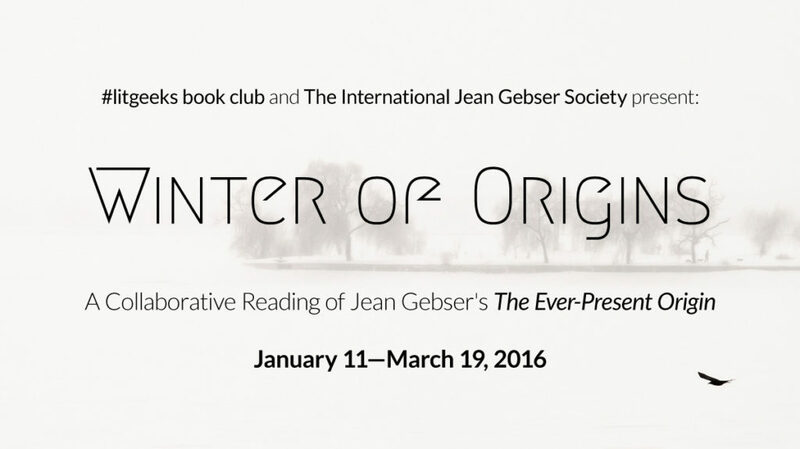 #litgeeks book club and The International Jean Gebser Society present Winter of Origins, a collaborative reading of Jean Gebser’s The Ever-Present Origin. The first Google Hangout, kicking off our collaborative reading of Jean Gebser’s magnum opus, The Ever-Present Origin. Our third Winter of Origins Hangout. Our fifth hangout discussing The Ever-Present Origin by Jean Gebser. For this hangout, we will be focusing on MUTATIONS AS AN INTEGRAL PHENOMENON (Chapter 4). Please be prepared to discuss pp. 116–155, along with any broader themes relating to this portion of the text. Our sixth hangout discussing The Ever-Present Origin by Jean Gebser. For this hangout, we will be focusing on Chapter 5: The Space-Time Constitution of the Structures. Please be prepared to discuss pp. 162-187, along with broader themes relating to this portion of the text. Our seventh hangout discussing The Ever-Present Origin by Jean Gebser. For this hangout, we will be focusing on Chapter 6: On the History of the Phenomena of Soul and Spirit. Please be prepared to discuss pp. 188-247, along with broader themes relating to this portion of the text. Our eighth hangout discussing The Ever-Present Origin by Jean Gebser. For this hangout, we will be focusing on Part 1 – Chapter 7: On the History of the Phenomena of Soul and Spirit and Chapter 8: The Foundations of the Aperspectival World. Please be prepared to discuss pp. 248-274, along with broader themes relating to this portion of the text. Our ninth hangout discussing The Ever-Present Origin by Jean Gebser. For this hangout, we’re excited to announce that author, integral philosopher, and founder of the Alderlore Insight Center Bonnitta Roy will be joining us. This may segue into our discussion of Part 2 of the book, including Chapter 1: The Irruption of Time. 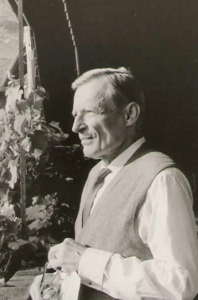 Archive recording of our tenth hangout discussing The Ever-Present Origin by Jean Gebser, discussing Part 2, Chapters 1–4. Recording of our eleventh hangout discussing The Ever-Present Origin by Jean Gebser, discussing Part 2, Chapters 2–4. Recording of our thirteenth hangout discussing The Ever-Present Origin by Jean Gebser, covering Part 2, Chapter 7, “Manifestations of the Aperspectival World” (III): The Social Sciences. Recording of our fourteenth hangout discussing The Ever-Present Origin by Jean Gebser, covering Part 2, Chapter 8. Our fifteenth hangout discussing The Ever-Present Origin by Jean Gebser, covering Part 2, Chapters 9, 10, 11, 12 and the Postscript (pg. 528-547).